What are you excited about most? A: Tomorrow is 1st December so you can start opening your advent calendar; B: It’s The Hub Retail Recruitment’s monthly news round and you can’t wait to read it; or C: Prince Harry’s engagement? No, you have to choose one! Of course, we’ll go for B. But we’re also very happy about A & C – and a Royal wedding in the Spring will be something nice to look forward to, especially if we get an extra day off! So let’s turn to our favourite, option B. Our picks of the news throughout November are: The ups and down of retail; Black Friday – how was it for you? ; Battle of the Christmas advert – who’s winning? ; and Employment news. The ups and downs of retail: What happens in the retail sector is a good indicator of how the economy is doing. So here we’ve done a bit of a round up of who’s doing well, and who isn’t. On the plus side, we have really strong sales from: Ted Baker; B & M the discount store; Waterstones; Karen Millan; Majestic Wines; and Urban Outfitters, to name but a few. So a real mix of retailers, from fashion to books, from wine to discounters. Let’s give you an overview of how these are doing: Majestic wine’s profit before tax went from a loss this time last year to £6.77m in the black this year; Urban Outfitters – which includes Anthropology – has recorded a jump in its 3rd quarter sales; and Waterstones is riding so high that it’s opening 5 more stores this side of Christmas with plans to open another 15 new stores in 2018. On the downside, the names we’ve picked out are: Feather & Black which sadly has gone into administration; Mothercare has gone from a £700k profit this time last year to a loss of £5.9m; Booths (the Waitrose of the north) has been doing poorly and the family owned grocer has, after 170 years, put the business up for sale; Multi York, the furniture maker is another retailer that’s fallen into administration; Palmer and Harvey, one of our biggest wholesalers has also gone into administration with the loss of 2,500 jobs; and M&S is due to speed up its store closures after a 5.9% drop in its half year profits. So it’s a very mixed picture. Which also reflects our UK economy – so always worth keeping a close eye on what’s happening. Black Friday – how was it for you? Well, did you find some great bargains? Or, as some reports suggest, you weren’t seduced by Black Friday and instead are looking for bargains more widely? Apparently, we’re not as keen on Black Friday as we were when it first came here from the USA – and that we realise it not only lasts for several days, including Cyber Monday, but the bargains on offer can be found most of the time anyway. In other words, we’ve got a bit savvy. Mind you, here at The Hub Retail Recruitment, we did do some shopping over the last week as there were some good offers to be had, especially in the week running up to Black Friday. And we weren’t the only ones – as retailers started discounting ahead of Black Friday, online buying went up by 11.3%. Which is a very different story to the in-store footfall, which fell by 3.6%. So it was a mixed picture on traffic. But overall the expected total spend of £7.8b over the Black Friday-Cyber Monday weekend was probably not achieved. We’ll let you know what the final tally is when it’s released. Battle of the Christmas advert – who’s winning? The big two ads are M&S with Paddington the bear, and John Lewis with Moz the Monster. Both have had their problems though. There have been some complaints about the M&S ad with some people thinking that when the burglar leans down to Paddington Bear and says ‘thank you little bear’, the ‘thank’ is actually an expletive – we’ll leave you to work out which one! And John Lewis has been accursed of plagiarism by Chris Riddell, who wrote Mr Underbed and has been the children’s laureate. M & S responded to criticism aimed at its advert by saying it was clearly ‘thank’ and wouldn’t be changing anything; and John Lewis said that there were many stories about monsters under beds and therefore was a universal story, rejecting Mr Riddel’s accusation. Which one do you prefer? We think both are great – and we love the Elbow version of Lullaby. But there’s some other great ads out there too. Of course, since John Lewis launched its first ad in 2007, the competition for Christmas ads is now a big part of the start of the season. But which retailer do you think is in the #1 slot? This article talks about how there’s a face recognition tech company called Realeyes who has surveyed consumers’ reaction to the ads and concluded that taking the top slot is…Coke Cola. It is most definitely a heart warming retro ad, loved by us all, which resonates with Christmases past. But what’s your favourite? Employment news: It was of course the budget last week. And there were some giveaways, such as the removal of stamp duty for first time buyers up to the value of a home at £300k. But of course that doesn’t affect the majority of us. What does of course is our tax allowances. So although it’s not much, it was good to hear that from April 2018 the personal tax allowance will increase by £350 to £11,850 and the threshold at which the higher rate of tax at 40% kicks in will increase from £45k to £46,300. And that will help a little with the continued squeeze on pay. Which isn’t looking too good, with the Office for National Statistics (ONS) reporting that pay has fallen in real terms by 0.4% when taking account of the effect of inflation. So that’s disappointing. But interestingly, in the retail sector pay has risen by more than 7%, so around 5% when taking account of inflation. That’s probably due in some part to the increases in the national minimum wage. And of course what’s also good news is that the employment rate – the number of people in work – continues to rise. Now, let’s get back to Christmas. Because of course this is an opportunity for employers to show their appreciation for the hard work you’ve put in over the year. There’s a real trend for doing this – and one of the most popular is to give gift cards, especially those that can be used anywhere rather than be limited by one particular retailer. We think that giving people £100 gift card rather than putting it into pay packets would go down well. So to all you employers out there, try it. This article talks about other ways of saying ‘thank you’ at Christmas time – have a look and see what resonates with you. Now, we can’t finish our monthly news round without mentioning the gender pay gap (GPG) reporting. It is of course gathering pace, and attracting some headlines. We raised our eyebrows at the Bank of England having a GPG of 21% – it is after all a government institution so we’d have expected better people practices there. And ditto the Chartered Institute of Personnel & Development, which has a GPG of 14.5% – now that’s an organisation we’d expect to be setting an example as its the leading body for HR professionals. There’s a further article here that not only tells us that the biggest GPG is in London but also that in some areas of the UK the GPG is in favour of women, rather than men. It makes interesting reading. And if you’re looking to move to a new company in the New Year, you might want to check out its gender pay, because the gender pay gap does say something about an organisation. What are the latest trends in Christmas rewards? Phew, there’s a lot there for you to digest. But all of interest we hope. Our next issue will be on New Year’s Eve, so Christmas will be over. 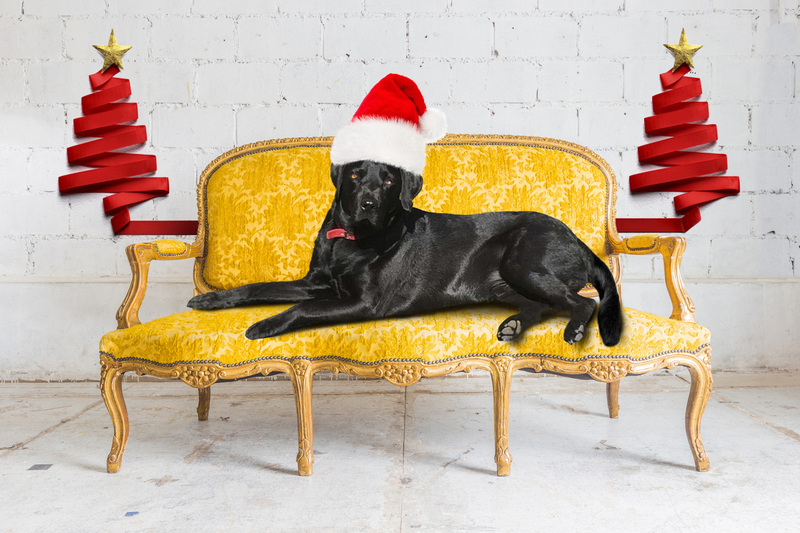 That’s why we’re posting our Christmas card with Jack, our lovely office dog, on this issue. Do have a lovely time, and don’t forget to open your first advent window tomorrow!